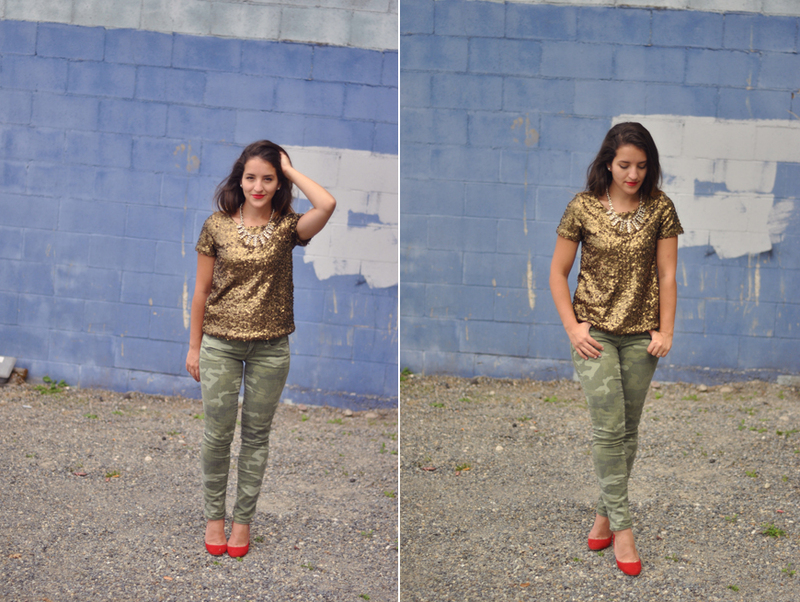 For my second look of the Double Take: Camo Edition series, I went for styling the pants with a festive sequin top. 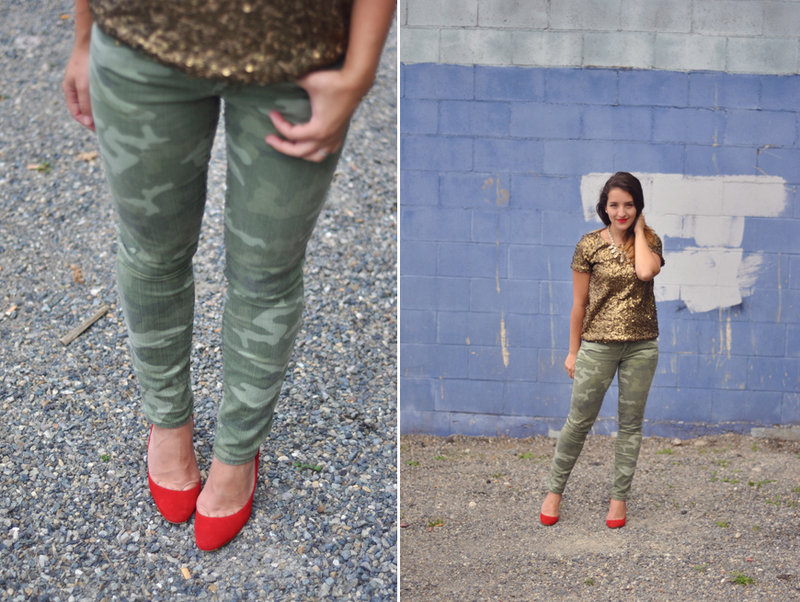 I chose a color that went in line with the camo color scheme (even though a white sequin top would be perfect!) because I was trying to show that glitter goes far to brighten things up and make your camo piece feel more feminine. Because I went with the same color scheme, I decided to brighten things up with a bold shoe. At first I thought it might have been too much, but I do like how it turned out. 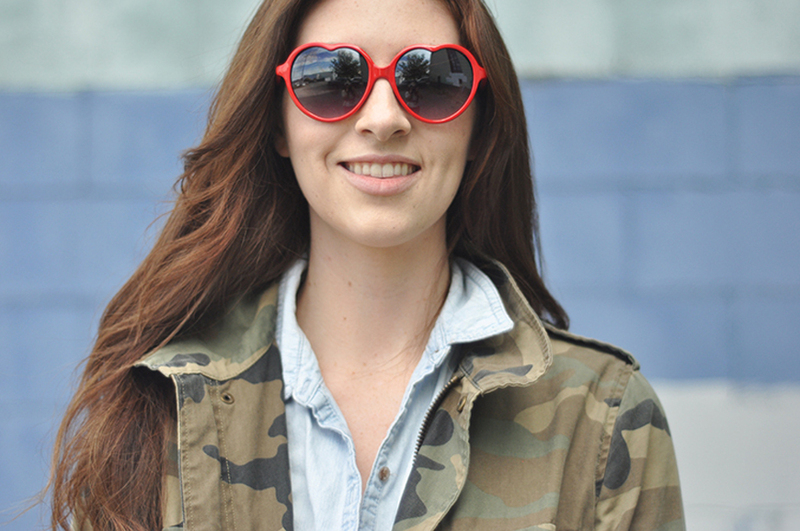 Pair this look with a neutral shoe for a more muted look. 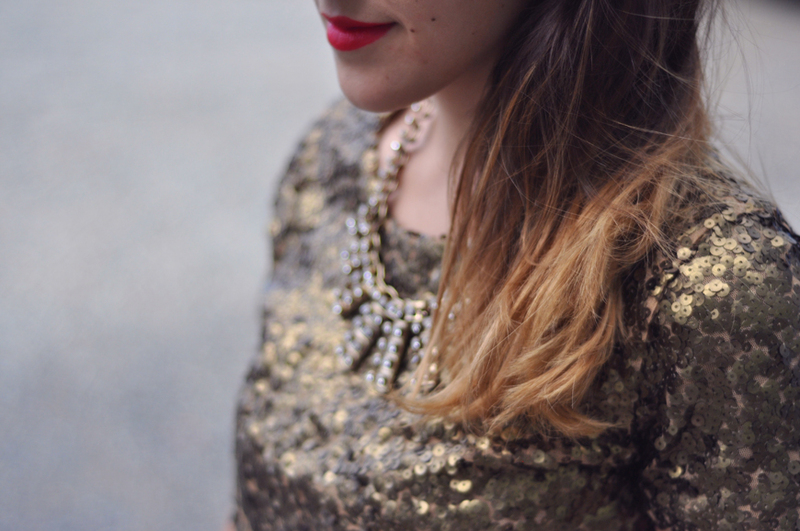 As I mentioned in the main post, don't be afraid to top a sequin top with a statement necklace for extra shimmer. If you're going out an night, or wearing this for the upcoming holiday season, it will take the fancifulness one step further. 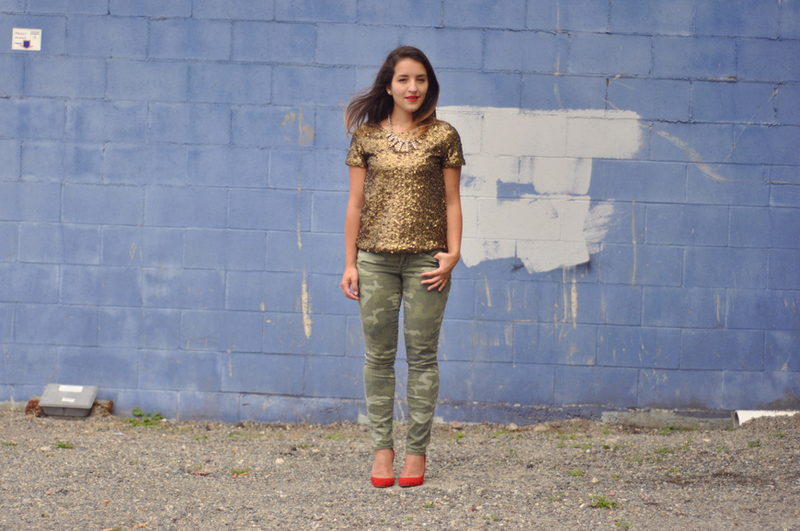 With camo being so prone to a casual, grungy look, this juxtaposition works. 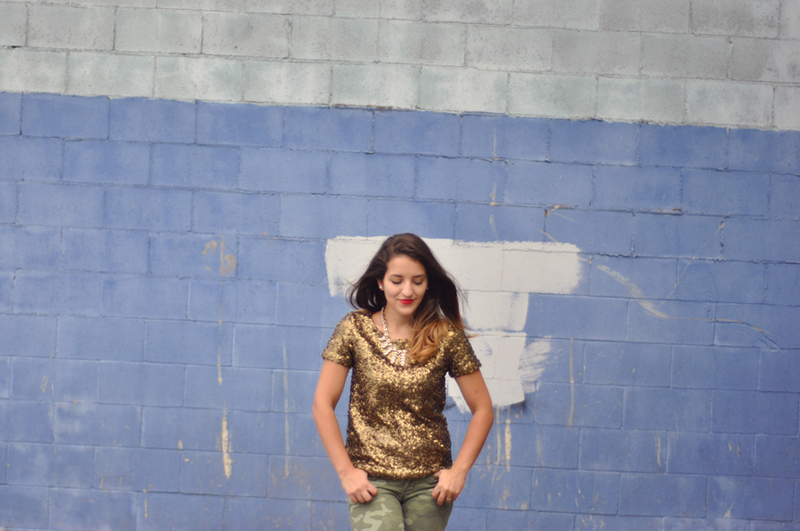 For the holidays, try this look with a more seasonally appropriate printed pant.